Meals on Wheels People received cookies donated through a Girl Scouts gift program. 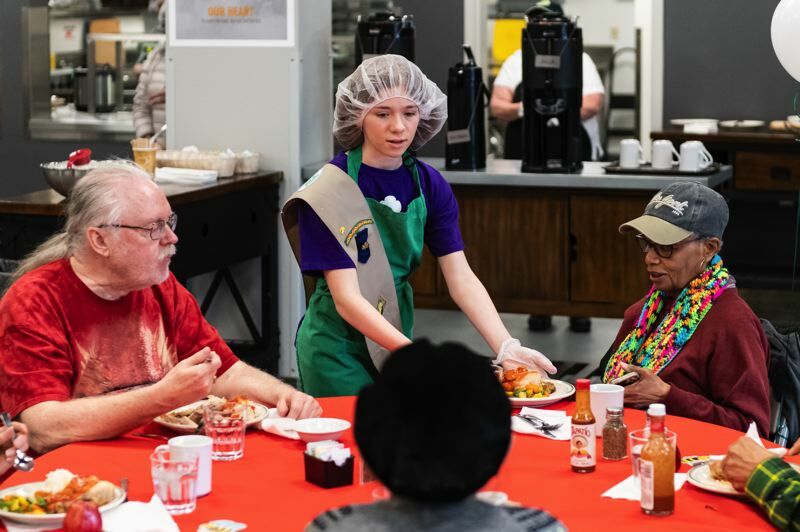 Local Girl Scouts spent time spreading cheer to seniors in Hillsboro last week as part of the scout's "Gift of Caring" program. 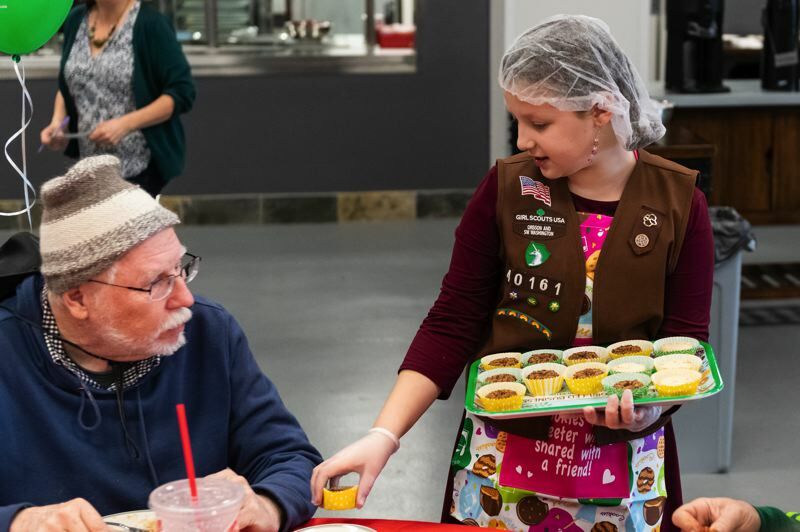 On Thursday, March 7, a group of Girl Scouts handed out boxes of Girl Scout cookies to seniors with the Meals on Wheels People program at Sonrise Church, 6701 N.E. Campus Way. "Major tenets of Girl Scouting include giving back to the community and making the world a better place," said Karen Hill, CEO of Girl Scouts of Oregon and Southwest Washington, in a statement. "We're delighted that local Girl Scouts are spreading cheer and practicing people skills as they visit with elders in their communities." Throughout the Girl Scout cookie season, customers can opt to donate their purchased cookies through the Gift of Caring program, according to the group's spokeswoman Maureen Kenney. "The longstanding tradition with Meals on Wheels People is a bright spot for so many older adults throughout the Portland-metro area," she said. It goes beyond Hillsboro. Nearly 9,000 Girl Scouts from 40 counties will participate in this program, donating Girl Scout Cookies to a variety of social service agencies throughout the region. Girl Scouts of Oregon and Southwest Washington will donate approximately 12,000 boxes of cookies to homebound elderly and people in need throughout the region, Kenney said. "We are thrilled to receive this donation of cookies from Girl Scouts of Oregon and Southwest Washington," said Meals on Wheels People chief executive officer Suzanne Washington. "Our participants, many of whom are unable to leave their homes, do not have the opportunity to purchase these cookies and love to receive them as part of their daily meal. We will put these to good use in the more than 5,000 meals we serve and deliver every weekday."